Humphreys couldn’t see how the two-story building, built in 1924, could fit into his plans for a $12 million to $15 million mixed-use development that would place retail, offices and apartments at a new main entrance to downtown, Bricktown, Deep Deuce and the Oklahoma Health Center. I'm glad he has decided to include the building, but it still blows my mind when our local developers can't instantly see the value in our historic structures, especially in the case where the building in question is the defining structure of the district. It even gets its name from that building. I would hate to have another Belle Isle where the they keep the name, but destroy the namesake. Maybe OKC's ROI potential is too low, but I know most major cities today would not even consider allowing a development to tear something like that down. And in most cases, it's places like the flatiron that give developments their real value in the first place. To me, it's seems like a natural fit to house a coffee shop, deli, pub, corner store, or even a boutique shop. It's unique shape is exactly what would brand any retail or restaurant business that locates there. Hopefully, he will realize the added ROI that keeping the building will yield and not only for that development, but for his nearby housing development that will surely benefit from the added character the preserved look will offer. Maybe this will further entrench the potential benefits of preservation and renovation in the minds of Oklahoma City leaders, developers, and the community at large. I agree. It boggles me how much people say they are "new urbanists" but yet don't adhere to the principle's they speak. Anyhow I'm glad he's keeping it, and by the article, he'll be adding 2-3 stories to it and an underground parking garage!! I'm hoping Steve Lackmeyer went to the OCURA meeting today so he can provide us more pictures and details. It makes me a little nervous that he's being so ambitious with it. I don't see what's wrong with it now. Adding stories seems hard to me, but could be very cool if he pulls it off. I just hope he doesn't get into, find that he can't do these things, and then say "well, we couldn't save it". I have seen that happen before. But again, the fact that he's at least finally seen the potential is great. I like the underground parking idea, too. Did you get that image to come up? Is it on the Oklahoman server? I would hate to have another Belle Isle where the they keep the name, but destroy the namesake. I'm still sick about Belle Isle. That was such a cool landmark and could have been great for an entertainment center. It would have cost a bunch to bring to code, I'm sure, but more than likely would have been worth it had it been done correctly. My understanding was that the extra stories are part of a completely new addition to the back of the building. You can see that in the last picture. He's not adding on top of it, as you can see in the ground-level rendering. I really like the sound of this project. That design looks really, really cool. Kudos to Grant Humphries for going to such efforts to preserve the exterior profile of the original building. We need more developers with the same type of commitment and vision. If the final development is close to these plans, we should all patronize the businesses out of support for doing things the right way! I totally agree. That looks great and I think his model of doing it should be followed by more developers. 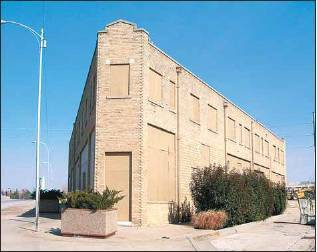 He was unsure about it, but took the time at marginal expense to see what could be done with it and now he'll end up having a signature piece for the area that ties its future with its past. I really hope this happens and I second Malibu's sentiments. I really like the design! And the fact that it's not the same look as Block 42. What's wrong with Block 42, or as the Oke puts it, Block 4? Nothing, I really admire its design as well. But I like the fact that the two aren't the same design. Too much of the same gets boring. I talked with Grant H. last week. The old restriction about serving/selling/consuming alcohol on the property should be cleared up within 60 days (hopefully), thus allowing them more time to work on finalizing their plans. That's great news, metro. Grant sure seems to have the right idea on downtown housing. Can we somehow get him on Urban Renewal? I would think he could be a good influence on them. What was this old restriction? Liquor-related. The city used eminent domain on its own property and the issue has been resolved. The first proprietor of the property placed an alcohol restriction in the deed. It's been cleared. Actually Spartan, the issue has not been resolved. As I mentioned a few posts up, I physically met with Grant H. in his office just a few days ago. It will be resolved but the city did not use eminent domain and it is not currently resolved although hopefully will be within 60 days. Yes, it is liquor related. Basically the 2nd owner of the property, Stiles, had a covenant placed on the property nearly 100 years ago that said if anyone sold,consumed, or distributed alcohol on the property, the property would revert back to the original owners or their decendants. Awesome. That sounds like a property class question on future interests. I thought that stuff never happened anymore! I'd have to research that, but I think you'd have to quiet title the property, maybe publish notice in the Journal record (putting the unascertained remaindermen on constructive notice that the property was being quiet titled). Then you'd transfer it. This would probably take about 60ish days. As far as that being a covenant though, and not a "Fee simple determinable," (In other words, the deed transfers "To A and his heirs so long as alcohol is not consumed upon the property." O, or the "original owner" and his heirs would retain a "right of reverter." Alternatively, if these people who hold the future interest know they have it, they can sell it to whoever they want. So of course, Grant could go buy that future interest. I don't know about the covenant though. Are you sure it's a covenant and not just a reversionary interest contained in the language of the original deed? I doubt Grant Humphreys or metro could tell us whether it truly was a covenant, or simply a future interest called a fee simple determinable. A fee simple is what most of us who own property have. It is the strongest ownership interest there is. It means you have full rights to own the land for an indeterminate period of time. A fee simple determinable also creates the same perpetual ownership interest except that it specifies a condition that if it does or does not occur, the land automatically reverts to the grantor. The fee simple determinable creates an ownership interest in the grantor called a "Possibility of Reverter." If the condition which was specified in that possibility of reverter occurs on the land, the ownership interest automatically shifts back to the original owner. Also, with the possibility of reverter, the future interest is alienable. That means that the grantor (the original owner) or his heirs can sell or transfer that reversionary interest. What's interesting here is that I'm not sure how you get the covenant removed from the land. Those are pretty strong. A possibility of reverter can be sold back to the owner. As for acquisition by eminent domain? I think we first have to decide that the property is blighted. A recent Oklahoma Supreme Court decision rejected the reasoning of the U.S. Supreme Court in Kelo stating that it was against the Oklahoma Constitution to acquire land by eminent domain for a private use unless the land is considered to be blighted. I would assume that the future interests could also be acquired by eminent domain, but if we have a covenant? That'd be a horse of a different color. Those take a little more to unwind. Yes you are correct, metro. I was a little heavy on the past tense...as Midtowner mentioned eminent domain is a long process, but since this is "friendly eminent domain" I'm sure it will go pretty smoothly regardless of any technicalities. The 2nd owner does not own the reversionary interest though -- that'd be whoever the original owner 100 years ago was. I'm not sure a future interest can arise out of a covenant, in fact, I'm pretty sure it can't. I'm going to have to say it's just a simple future interest. The thing is that Stiles doesn't get to be the friendly party here because the future interest isn't being taken from him -- it's being taken from the original owners who are probably difficult to ascertain. If that's the case, the city can probably publish notice, hope that no one comes forward, then quiet title the reversionary interest away. That seems feasible, and it works out in my head. I'm not sure if that's the way it works though. It'd take a little research, and it sounds like the city has it figured out (although the municipal lawyers are really terrible in eminent domain proceedings). I heard the architects on the Flatiron Lofts projects are working towards a construction estimate set of plans. 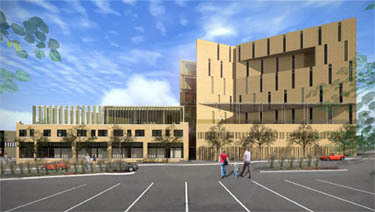 The project should start construction in summer or fall of 2007. 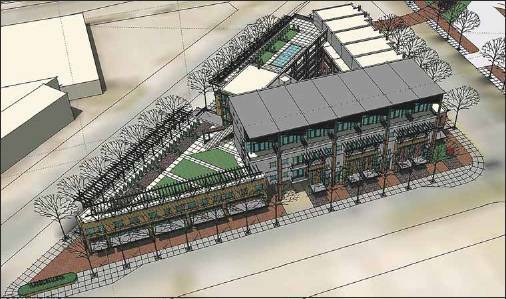 That will be an awesome entrance into downtown/bricktown. Nice design. Jimmy Johns sandwiches to open in FlatIron District!